The current West African Ebola virus outbreak is deservedly the news topic of the day. This outbreak is larger and deadlier than the more than 30 Ebola outbreaks combined since the virus was discovered in 1976, totaling more than 13,000 confirmed and probable cases and nearly 5,000 deaths, according to the World Health Organization. It has appeared outside Africa, in the United States, Spain, Norway, and in a separate outbreak in the Democratic Republic of the Congo. It is teaching us more about diseases that are deadly, highly infectious, and lacking effective drug or vaccine treatments. It is also teaching us more about the unreliability of studying human diseases in nonhuman animals-and about the media hyperbole that can work to conceal this truth. The New York Times on October 30, 2014 called a recent study a "significant advance" in the role of laboratory experiments to analyze Ebola-in mice. The study's authors, acknowledging the inadequacy of the current mouse models of Ebola infection, investigated the effects of the Ebola virus in 47 genetically diverse mouse strains. 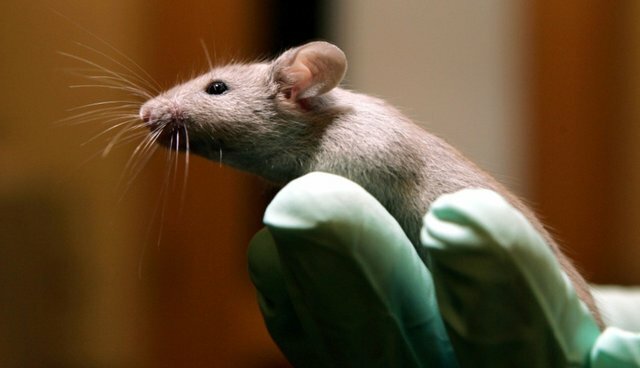 Some of the mice, they found, were completely resistant to the virus; others were only partially so; and still others experienced severe illness, hemorrhaging, and death. Overall, half of all the mice who were not resistant to the virus died. The authors concluded that the results suggest an important genetic link to outcomes in Ebola infection among mice-a link that may also be present for human victims. Texas A&M; geneticist David Threadgill has a different take on what the study shows: "Looking at single mouse strains, which is historically what's done, completely misses the vast majority of biology." The current study, which shows different infection susceptibilities and outcomes among the 47 tested strains, could be said to muddy the waters further regarding our understanding of outcomes and treatments for human patients. Are any of these strains more likely to translate to humans than the mouse models of Ebola that have failed for more than three decades? Given the great differences in how mice and humans express their genes, why is there reason to believe that even finding similar genes in patients will produce similar outcomes? Is studying Ebola in mice based on sound science, or is it, as one of the authors claims, "just more convenient and more cost-effective for working in a highly secure environment"? Perhaps walking back from the New York Times hype, the study's authors state that connections of their results with human Ebola virus infections may "potentially" occur "way down the line." This is the mantra of basic science experimentation using nonhuman animals, and it rarely happens as hoped. Better answers may be at hand using human-based research, because blood, body fluids and tissues, viral isolations, laboratory and imaging results are available from survivors and non-survivors. Three Ebola victims have received plasma transfusions from survivor Dr. Kent Brantly, who himself received a transfusion from one of the Liberian survivors. All three recipients have survived, and it is likely that antibodies from the transfusions aided their survival. This method was also successful during the 1976 and 1995 Ebola outbreaks. In contrast, transfusions between monkeys for the same purpose have failed; all recipients have died from Ebola. And no effective drugs or vaccines have yet come from animal experiments. If the worldwide medical community is to be better prepared for the next Ebola outbreak, the worldwide scientific community must zero in on human-relevant research rather than unreliable animal experiments of convenience.